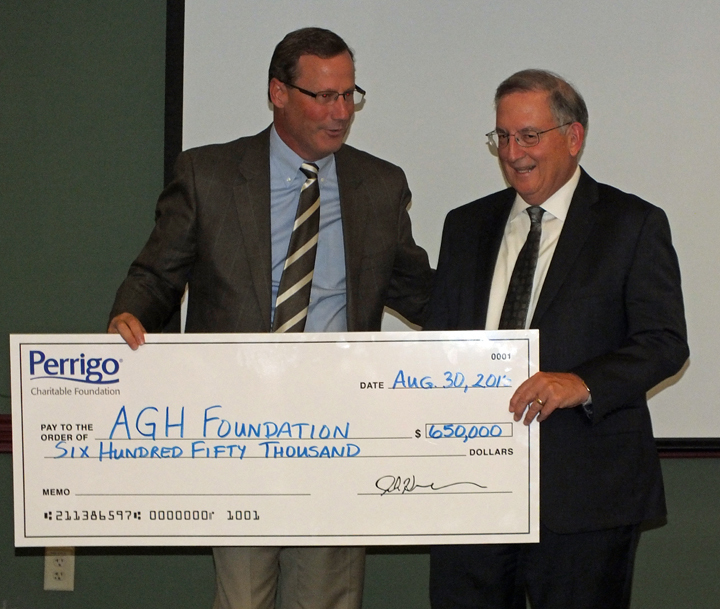 The Perrigo Company Charitable Foundation is proud to announce a donation of $100,000 to Allegan General Hospital for renovations in surgical services. 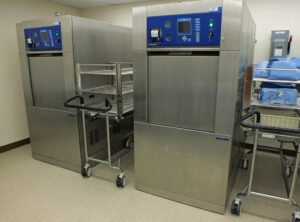 A community celebration in honor of the donation took place at Allegan General Hospital, where the Perrigo Company Charitable Foundation presented a $100,000 check for new sterilizing machines that significantly increase the number of surgical instruments that can be sterilized at a given time. 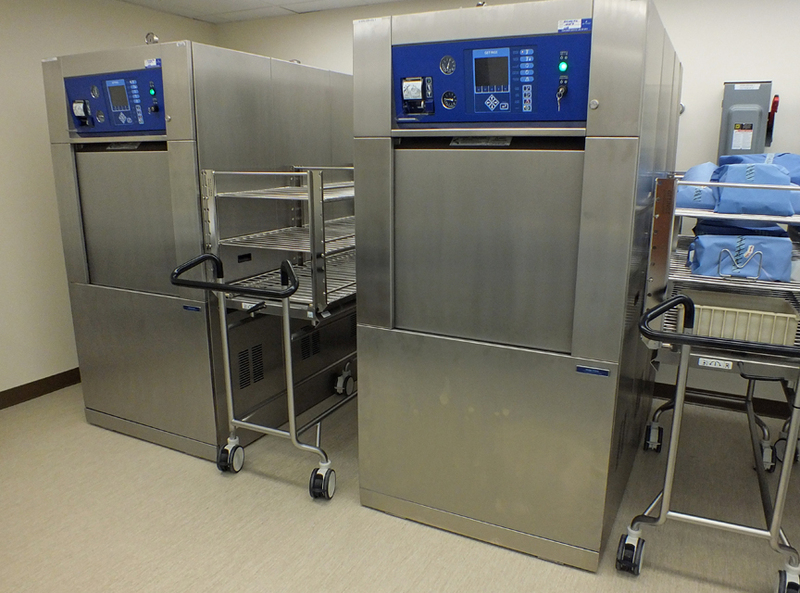 The Foundation’s $100,000 check for the sterilizing machines contributes to the $475,000 total investment Allegan General Hospital is making to renovate the sterile processing area of its Surgery Department. 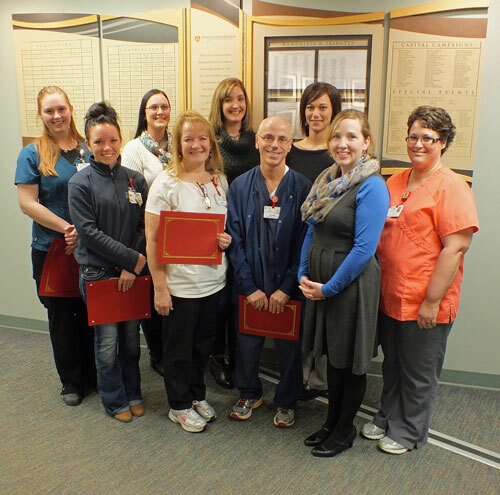 Last year, Allegan General’s Surgery Department performed 3,405 surgical cases. 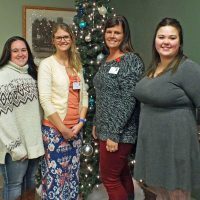 Allegan General provides surgical care for both inpatients and outpatients on an elective, urgent and emergency basis. Surgical procedures offered at the hospital include general surgery, orthopedics, otorhinolaryngology (ENT), pain management, endoscopy, urology, gynecology and podiatry. Perrigo, a global consumer self-care company known in the U.S. for over-the-counter store brand staples such as cough and cold medication, analgesics, pain relievers and infant formula, is dedicated to giving back to the health and wellness of its communities through the Perrigo Company Charitable Foundation.